Welcome to the island of Chuuk, also known as Truk Lagoon, where lush, natural scenery makes it easy to relax and absorb the beauty of the Pacific. Northern California Rainbow Divers will spend 8 nights in this South Pacific paradise, where WWII history and natural beauty intersect. The protected lagoons of Chuuk sport the best wreck diving in the world, as the density of wrecks is unmatched. Not only do these relics tell a story of their own colorful past, they've also been sunk long enough for marine animals and plants to completely overtake their structures with abundant growth, resulting in a wide variety of marine life thriving around the wrecks. In February, 1944, American forces sank 44 Japanese war and merchant ships in Truk Lagoon during Operation Hailstorm. Many still exhibit Imperial Japanese artifacts while the past 69 years have transformed the decks and sides of Chuuk's wrecks into vibrant coral reefs. The lagoon itself is large enough that strong and constant currents bring in nutrients required for healthy fish life. 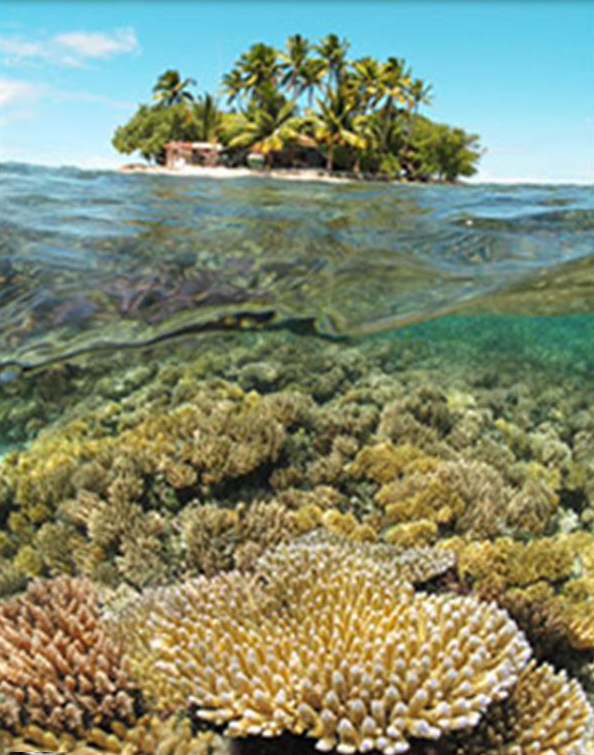 It's not surprising that over 300 varieties of hard and soft corals thrive in Chuuk's waters. As the ships begin to disintegrate, the time to dive them is now, before WWII history is lost forever. Truk Lagoon is truly special and likely the easiest tropical WWII wreck diving in the world. Numerous wrecks lie in calm, shallower waters from 50-130 feet, with no need to go deep. Recreational divers who may not be so fond of wrecks can happily enjoy the abundant soft coral growth and wide array of critter life. Chuuk's outer reefs are home to a great variety of fish, both pelagic and reef dwelling, on stunningly beautiful coral walls that extend far downward into the blue abyss of the Pacific Ocean. Technical divers who enjoy deep underwater exploration will certainly find ample opportunity in Chuuk to satisfy their interest in diving deep and long. 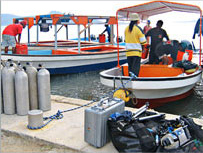 Blue Lagoon's boats are suited for CCR and tech divers, who will be separated into different dive groups from recreational divers and go to different dive sites. The dive guide assigned to tech diving groups is experienced in tech diving as well as the dive sites to be visited. Note that Nitrox (see exclusions below) and Trimix rates are at extra cost, not included in our dive package. Blue Lagoon Resort on the island of Weno in Chuuk offers a breathtaking view of the world famous Truk Lagoon. The resort specializes in small group diving and is the perfect location for exploring the spectacular reefs and wrecks of Micronesia. The hotel's two-story design of spacious, air-conditioned rooms blends with the island's tropical and serene atmosphere. A short stroll through the resort's palm-shaded gardens brings you to a white sand beach, where you can enjoy a refreshing swim in the clear lagoon. The restaurant serves island-style local seafood and Pacific and Asian cuisine. Learn more about the resort here. Chuuk has a warm, tropical climate. Our trip puts us there during the dry season (the best time to travel). Air temperatures range from 78-90ºF, with water temperatures at a comfortable 82-84ºF year-round. We will be doing 2-3 dives/day from day boats, and most divers will be comfortable in a 3mm wetsuit. One night, we will also do a night dive. All dives will be guided by experienced divemasters. Recreational divers and technical divers will be separated into different dive groups and likely dive different sites as technical divers typically have longer dive times and deeper depths than recreational divers. All divers, beginning to advanced, are welcome on this expedition. You might like to join us the previous weeks for four nights at a dive resort in Yap from March 11-15 or for seven nights in Yap from March 8-15, 2014, and a Palau liveaboard cruise from March 16-23, 2014. Combining two or more of these LGBT dive excursions would leverage the time and cost of getting to Micronesia by giving you an opportunity to explore distinctly different regions and underwater environments within Micronesia. You should plan to arrive in Chuuk on Sunday, March 23, 2014. Divers continuing from our Palau liveaboard will arrive on Sunday evening or Monday morning, March 24. Diving will begin the morning after our arrival. Because we will cross the international date line on our international flights to/from Micronesia, U.S. residents may need to begin travel as early as March 21, 2014, to arrive in Chuuk by March 23. Our outbound flight will leave Chuuk on Monday mid-morning, March 31, 2014. Multiple air carriers fly into Micronesia, but United Airlines has a monopoly on domestic flights within Micronesia and is the only airline that flies into/out of Chuuk. If you might like to use frequent flyer miles, the best way to get to Chuuk from the U.S. may be to fly into Honolulu, Guam, Manila or Tokyo using your preferred U.S. carrier, then switch to United Airlines for the Micronesia portion of your trip. Star Alliance also offers a special Micronesia AirPass for island hopping within Micronesia on United Airlines.